Uruguay and Chile complete the line-up for Rugby World Cup Sevens 2018 in San Francisco after successfully coming through the South American qualifying process. Uruguay and Chile have successfully come through the two-tournament Sudamérica Rugby Sevens Series to complete the 24-strong line-up in the men’s competition at RWC Sevens in San Francisco later this year. They join Argentina to give South America three participants, while North America will be represented by Canada, Jamaica and USA. Both countries were in a strong position heading into the final leg of the series in Vina del Mar in Chile, following their performances at the Punta del Este Sevens in Uruguay last weekend. 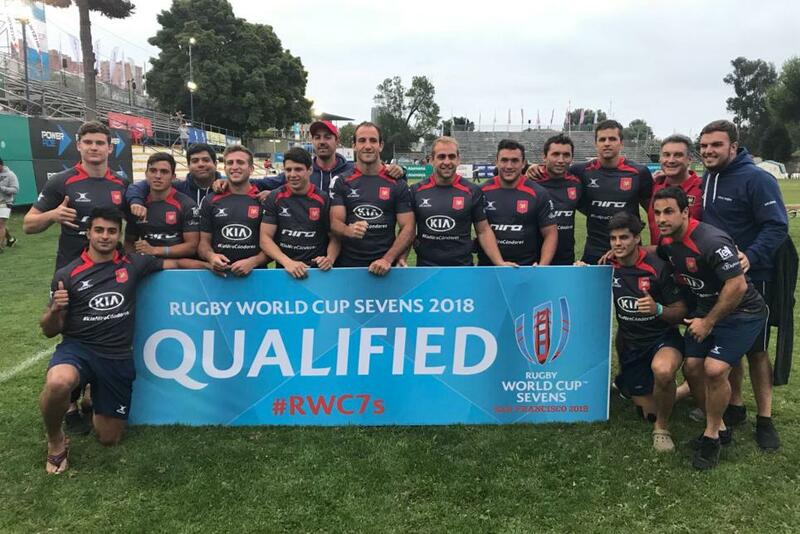 For the second tournament running, Los Teros Sevens managed to reach the semi-finals, ensuring they finished as the top-ranked South American team in third place overall, behind two of the invited teams in South Africa and France. And while Chile fell short of the heights that saw them claim the runners-up spot in the opening leg in Punta del Este, a seventh-place finish was enough to see them finish fourth on the series and win the second ticket to San Francisco. Brazil were the only side that could have possibly troubled either Uruguay and Chile but a 14-7 defeat to Los Teros Sevens in the quarter-finals put paid to their chances. Uruguay and Chile will not only travel to San Francisco in July but also to Hong Kong for the HSBC World Rugby Sevens Series 2019 qualifier in April. As the top-ranked South American team, Uruguay also receive an invite to compete in the Las Vegas and Vancouver rounds of the world series in March. All three of Uruguay’s wins in pool play at the Vina del Mar Sevens were tight affairs with a winning margin of five points or less in each, while Chile also had it tough in progressing through to the knockout stages, despite the partisan support of the home crowd, losing to Germany but crucially edging out Argentina, 17-15. France proved too strong for Chile in the last eight, but Edmundo Olfos’ side had done enough to qualify for their first Rugby World Cup Sevens tournament since 2001. A 26-12 win over Brazil in the seventh-place play-off was a fitting way to sign off. “We are very happy; we haven’t qualified for a World Cup in 17 years and we have reached that goal,” said Chile captain Felipe Brangier. 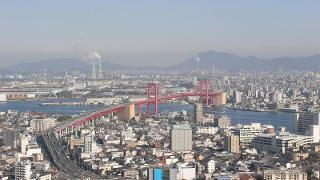 “It was a tough two weeks. You feel the support at home but that also increases the pressure. We did not have a good tournament at home as we would have loved to finish top in South America; we missed that chance but are delighted with going to RWC Sevens, which was our main goal. Uruguay’s 14-7 win over Brazil saw them book a date with South Africa in the semi-finals. The South African side, comprising players from their national sevens academy, had not had it all their own way on day one, losing to Ireland and only managing a draw against Brazil, but they came good on Sunday to strike gold. "“We are extremely happy to have qualified. This came about after a lot of very hard work from players, staff, officials and the 15s coaching staff. We are all doing our best to take Uruguayan rugby to the top." Uruguay were beaten 26-7 before a 34-7 win over France, in front of a decent-sized crowd in the Pacific coastal resort, saw them claim their second tournament and the overall Sudamérica Rugby Sevens Series title. “We are delighted in the outcome of the trip,” said South Africa coach Marius Schoeman. “Not only did the squad play to their full potential on Sunday to win the title, we also ticked other important boxes like blooding new players into the system and confirming the belief that our sevens structures are sound. Uruguay played solidly throughout the tournament, displaying good discipline and tactical awareness, and in players such as Felipe Etcheverry, they had some of the stars of the tournament. Ireland pipped them to the bronze medal, though, winning the third-place play-off, 12-5. “We are extremely happy to have qualified,” said delighted Teros Sevens coach Luis Pedro Achard. “This came about after a lot of very hard work from players, staff, officials and the 15s coaching staff. We are all doing our best to take Uruguayan rugby to the top. 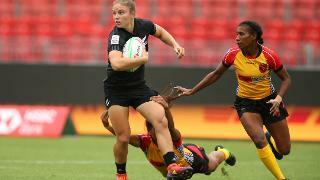 “It is not a small thing for such a small country, with a small player base, to qualify for RWC Sevens. And, in two weeks, our national team, with a totally different squad, will play against Canada for a place at Rugby World Cup 2019. Argentina, who had already qualified for RWC Sevens 2018 after reaching the quarter-finals of Moscow 2013, had to settle for fifth place on the Sudamérica Rugby Sevens Series.